Did you know that we are the only mammals that willingly delay sleep? Bears, deer or elephants never postpone sleep because of something they need to do, contrary to us humans who stay up for the most absurd reasons, such as watching one more episode of the TV show we’re binging on or endlessly scrolling through our Facebook feed. We live in an over-worked, over-caffeinated and technology-addicted society, and our sleep is plummeting, taking our health down with it. In the past, people thought of sleep as a passive component of our daily lives. “Sleep used to be kind of ignored, like parking our car in a garage and picking it up in the morning,” says David Rapoport, MD, director of the NYU Sleep Disorders Program. We now know that the brain’s activity continues during sleep. Even more, how we sleep affects our physical and mental well-being, and compromising it can obstruct the way that we feel and function around the clock. 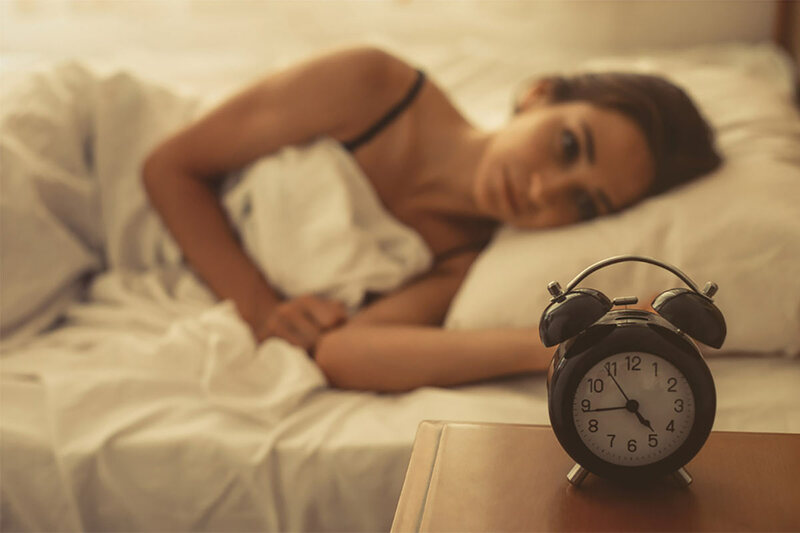 The Centers for Disease Control and Prevention (CDC) recently released a report on sleep called insufficient sleep a “public health epidemic.” In the report, almost 50 million people reported problems concentrating during the day due to bad quality sleep. Sleep deprivation has many harmful health effects. According to the CDC, not getting enough sleep may lead to diabetes, heart disease, obesity, and depression. Are you trying to live your best, healthiest life? Then make quality sleep a priority. A way to make sure you get a good night’s sleep is to make sure your mattress is comfortable and supportive, and keep in mind that mattresses have a life expectancy of 8 or 10 years. Additionally, pillows make a comfortable bed even more inviting. Only 20 minutes of physical activity helps you achieve better quality sleep and keeps you more alert and focused throughout the day, shows a study done by the National Sleep Foundation (NSF). Physical activity also reduces stress and anxiety, both being common obstacles to a good night’s sleep. However, it is advised to make sure that your exercise is over two hours before your bedtime because this can energize you and make it even harder to fall asleep. There are lots of apps that can help you meditate, one of them being Jinglow an app that reduces anxiety and improves sleep. It offers a wide range of guided meditations, progressive relaxation, body scan, breath work and moving meditations. We all love caffeine in various shapes and forms! A double Americano, a cup of Earl Gray tea, and last but not least, chocolate. Caffeine can be great to help us get our energy levels up and focus a little bit harder. But, do you know it takes 6 hours for one half of the caffeine to be gone? Instead of giving the advice to cut it out completely, there’s a reason people drink coffee and for many, it may seem like an impossible task. So, because it takes a while for the caffeine to wear off, a smart move would be to stop drinking coffee after 2 pm. Because none of us are designed to digest and sleep at the same time, it’s best to either have a meal early in the night or snack on something lighter later. Eating activates the digestive system and makes you unable to fall asleep. Also, drinking a lot of water or any other drink can overwhelm the bladder, and disturb your sleep by going to the bathroom frequently. The best way to stay relaxed and calm before going to bed is establishing a soothing pre-sleep Routine. We prepare for school, work, and parties, but why don’t we prepare for sleep? Having a sleep routine means sticking to a sleep schedule of the same bedtime and wake up time, even on the days when you’re free to do otherwise. It also means practicing a relaxing bedtime ritual, such as taking a bath or reading a book. Although it may seem like a simple and even cliché strategy, a lot of people swear by it. Some studies have shown that writing down your thoughts helps you calm down. Writing your worries and later burning them helps you realize that things aren’t as important as you think they are, and puts everything into perspective.